This is one of a series of titles featuring Luigi in a starring role to continue the celebrations of the 2013 Year of Luigi. So Mario and Luigi begin their epic and humorous adventure in the resort of Pi'illo Island (see what they did there?) a place formed and shaped from Luigi's subconscious - where if Luigi can dream it, it can happen! Antasma is the main enemy in this title, and as the rest of the game is based on figments of Luigi's subconscious while he sleeps - perhaps the Antasma character was inspired by the many ghosts Luigi has had to fight in his time in the various Mansion's he was so lucky to inherit? Antasma is known and feared by the Pi'ilo people as a creature of nightmares and sometimes referred to as the evil Bat King. Starlow from Mario & Luigi: Bowsers Inside Story returns in Mario & Luigi: Dream Team, a female Shine Sprite who helps the bros out by looking after items for them and giving them tips along the way. Bowser knows Starlow as "Chippy". Prince Dreambert - The Prince of Pi'ilo and ruler of the Pi'ilo people. Eldream - Another Pi'ilo, it is said that Eldream can help Mario & Luigi - as the name suggests he is an elder of the dream people. And a whole host of other characters including Broque Monsieur (a play on Croque Monsieur - a ham and cheese toasty?!) and others of his kind like Broggy, Brickle and Blinda.Various characters from the Koopa army are also featured including Sergeant Guy, Corporal Paraplonk and Private Goomp - these characters were last seen in Mario & Luigi: Bowsers Inside Story trying to take back Bowsers Castle with a bill blaster. Prince Dreambert, Ruler of the Pi'ilo people. The setting for the game is Mario, Luigi, Princess Peach and the Toads being invited on vacation to Pi'ilo Island to finally relax after their continued attacks from Bowser amongst other foes. Tired from his journey Luigi decides to take a nap shortly after arriving to the island, he sleeps on a special pillow which has magical powers and opens a portal to the Dream World in his subconscious; meanwhile Princess Peach has been kidnapped again - standard, but to compound problems for our heroes the Pi'illo people, the inhabitants of Luigi's dreamworld resort have also been captured - by the evil bat-king; Antasma and of course Luigi feels quite obligated to assist Prince Dreambert of Pi'ilo free his people... Looks like the bros. have their work cut out for them. Their are two important items in Mario & Luigi: Dream Team which could change the fate of our heroes; the Dream Stone and the Dark Stone. The dark stone was actually broken into fragments by Antasma, and its fragments were used to petrify (Freeze) the Pi'ilo inhabitants. Luigi can dream special attacks that produce hundreds of Luigis that can morph into different shapes and forms, they can become anything from Giant hammers, to wrecking balls etc and can help you get past more difficult obstacles. Sleeping Luigi will be visual on the lower touch screen, you can annoy him by prodding him, tickling him etc in order to make him stir in his sleep and alter the dream world which is shown on the upper screen. Play in both dreamworld and the real world, and become a master of switching between them. In the Dream World you will be controlling Mario and an army of Luigi clones; in the real world you have both bros battling together. Luigi clone are known as Luiginoids. You can turn the Nintendo 3DS sideways to see the biggest Giant Battles ever, on one side of the screen you will have GIANT LUIGI and the enemies on the other screen. Epic battles, epic display size, especially if you have a 3DS XL. 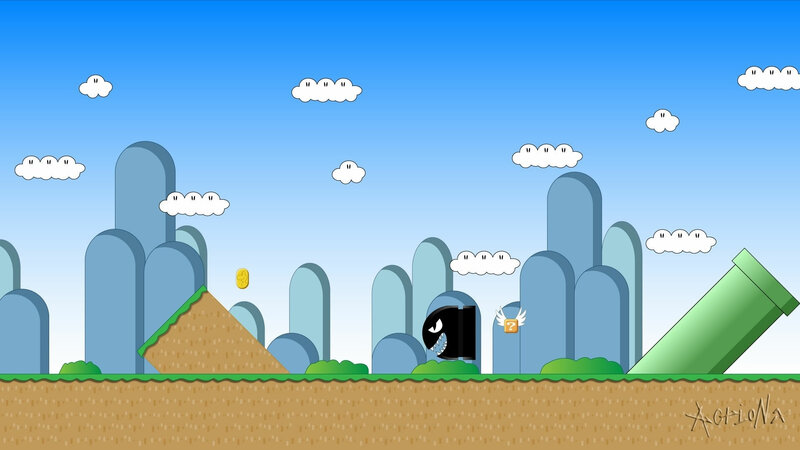 As well as powerups from previous games in the series new equipment can be found along the way and Mario & Luigi can be customized to suit the player. More flexible difficulty settings, including the additional of an Easy Mode - or a built in hint and tip system that helps players who are struggling on a particular battle etc. 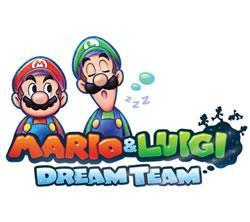 A pre-release video explaining Mario & Luigi: Dream Team and giving some background on what the game will be about.